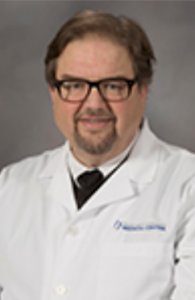 Peter W. Pendergrass, MD, MPH, is an associate professor in the department of preventive medicine at the School of Medicine and the School of Population Health at the University of Mississippi Medical Center. He is also the program director for the newly approved preventive medicine residency. He is board certified in public health and general preventive medicine, completing his preventive medicine residency and his master of public health at the Bloomberg School of Public Health at Johns Hopkins University in Baltimore. In addition, Dr. Pendergrass is residency trained in internal medicine and fellowship trained in endocrinology at the University of Oklahoma in Oklahoma City. Dr. Pendergrass graduated from the McGovern School of Medicine at the University of Texas Health Science Center in Houston. Prior to joining UMMC on January 30, 2017, Dr. Pendergrass served as the regional medical director for Region 1 at the Texas Department of State Health Services. In this capacity, he oversaw all state level public health services for a 41 county area in West Texas – serving as the local health authority for 35 counties. These services included the provision of immunizations and the treatment of sexually transmitted diseases and tuberculosis, epidemiological investigations, dental health services, public health preparedness activities, social work services, and zoonotic investigations and treatments. Dr. Pendergrass is Federal Emergency Management Agency trained in IS-0700, ICS-100, ICS-200, and ICS-300. He has completed positions specific training for the incident commander roll, planning chief roll and operations chief roll. He is trained in establishing and managing a Point of Dispensing operations. Dr. Pendergrass has also received Mass Fatality Management Training. During his tenure at Texas DSHS, he assisted in planning for H1N1 and Ebola responses as well as responded to local, regional, and state level events. Previous experiences include serving as bureau chief for the Communicable Disease Division of the Texas Department of Health in Austin, Texas, and as the coordinator of Family and Personal Health Services for the San Antonio Metropolitan Health District in San Antonio, Texas. In addition, he has practice population-based medical quality improvement work at the state and federal levels.